Manjunath is an E2Language student who recently took the PTE and received straight 90’s on his first try! He kindly offered to write a blog for us in order to provide PTE preparation tips from a student’s perspective. I would like to share an inspiring story about the PTE Academic with you guys. I scored a low 6.5 in the writing section of my IELTS in my second attempt. I required 8 in all bands of the IELTS for my immigration and was struggling to get the desired score. I started thinking about alternative English exams which could potentially get me over the line. Ultimately, I started researching other tests such as the PTE, TOEFL ibt and OET. I found that PTE Academic was a good option and started reading about the different tasks. It is also vital to know and understand the scoring guide. Jay and Manjunath met up for a coffee after the PTE! To begin with, I would like to say that it is essential for you to choose the right test. IELTS is good for people who find it difficult to speak to a computer. The reading and listening sections of the IELTS are comparatively easier. The PTE Academic writing section is much simpler to crack, whereas the speaking and reading modules are slightly complicated. Having said that, with continuous practice and perseverance, you can crack both the modules. It is also important for you to improve your typing speed (if you are slow in typing) which is a key factor in the writing task. It is also very important to prepare properly. I do not think you can prepare for 2 weeks and get a 79+ in all modules. I started my PTE preparations 5-6 months back and put in extra effort in the last 1-2 months. 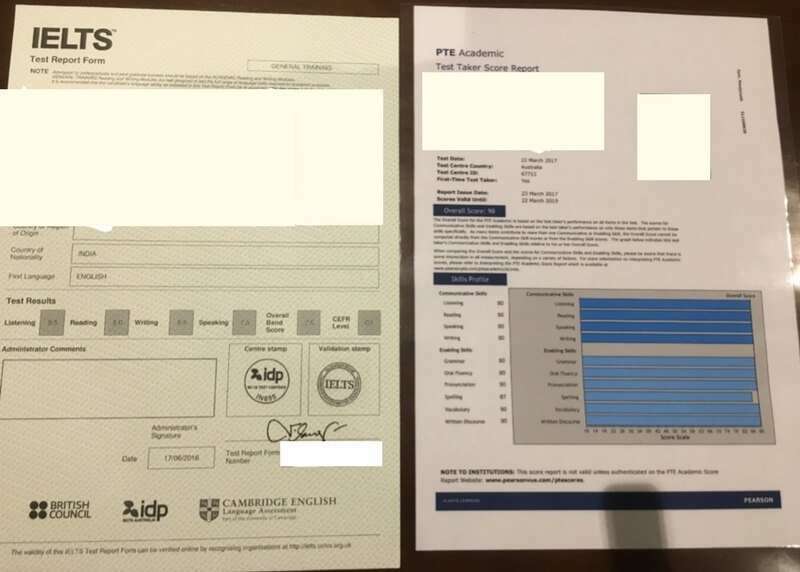 I purchased the actual PTE mock tests from the official Pearson website. 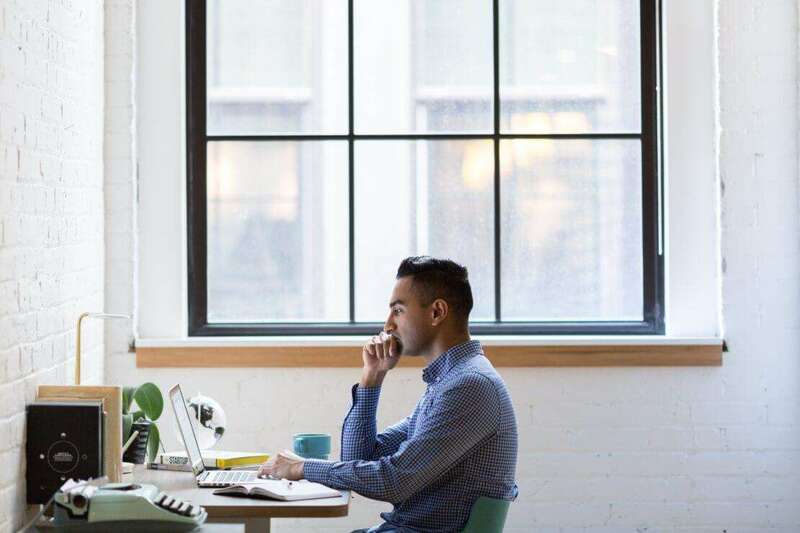 Once you get a basic idea about the tasks and practice a few questions using the Pearson book or YouTube, you should take both scored PTE practice tests. These tests give you an experience of the actual PTE and the algorithms used for marking are the same as the real PTE exam. In my first practice attempt, I scored 84 (Speaking), 75 (Reading), 74 (Writing), and 76 (Listening). Do not be disappointed if you get a low score. You will get an idea about where your focus should be. This will help you in working out methods to tackle obstacles in the actual testing environment. I would suggest people use this test as an opportunity to improve their overall language skills. This will not only help you in the exam but also in your future endeavours. As a non-native speaker, it was very important for me to revise basic vocabulary and grammar which was helpful in the reading and writing tasks. The only issue with the PTE was the lack of practice material available. I started watching YouTube videos and came across an interesting online teaching platform called E2Language. I started watching the free videos such as the Core Skills classes, methods webinars, and mini mock tests. I required more practice and signed up with E2Language. I took the ‘I’m nervous’ package with them ($250 AUD) which gave me enough practice materials to work with. The teachers were extremely nice and friendly. I would like to thank Jay, Kaia, Colin, David, Jamal, and the other members of E2Language for their continued support, motivation, and guidance. I could not have achieved this amazing score without their assistance. They provided feedback & assessment on the different tasks, plenty of PTE preparation tips, and all the necessary techniques & strategies I needed to improve my scoring. There are several free PTE methods webinars on the E2 PTE Youtube channel, and you can access a methods webinar for all of the PTE tasks when you become a paid student. On test day, it is very important to relax and calm your nerves. Once you enter the exam room, just go through the instructions thoroughly and check the headphones. It is mandatory to check the microphone and check your recording. If you feel that the recording is not proper, get your headphones changed. The Speaking tasks came first and just came one after the other, so it is very important for you to know the sequence and pattern beforehand. You must speak with minimal or no hesitation, because it contributes to your oral fluency score. Speaking is scored based on content, oral fluency, and pronunciation. The next task was Writing which was the easiest for me. I practiced a variety of summarize written text and essays which helped me in the actual exam. Getting assessment for these tasks from E2Language was helpful during the test. Reading was tricky and I was running out of time. You should have a method to tackle all the reading tasks and vocabulary is important in answering them correctly. It is also crucial to have a good understanding of the different parts of speech and basic grammar to answer these questions. I used the process of elimination technique to get the right answer for the multiple choice questions. Listening was comparatively easier and, like Reading, time management is key. The tasks after summarize spoken text are not individually timed, so you need to handle the allocated time efficiently. I had an amazing experience with the PTE Academic. Enjoy each task as it comes. Do not think about the next or the previous task and just concentrate on the task at hand. This will help you in improving focus and concentration, which is of paramount importance in the PTE. Moreover, get proper guidance from E2Language before taking the exam. They will give you important PTE preparation tips and strategies which you can use in the test and get a high score. Good luck and never give up. I hope my story inspires you guys into achieving something great. My PTE Academic and IELTS scores are as follows…. My PTE Academic Scores: All 90’s! 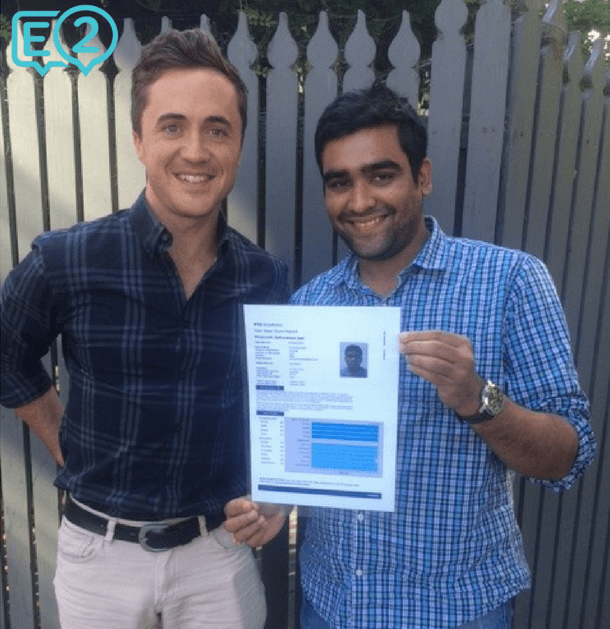 The E2Language team would like to congratulate Manjunath on his amazing (and well-earned) PTE success!! Make sure you check out his detailed PTE Academic Success Story video on Youtube. Manjunath, thank you for taking the time to share your PTE preparation tips and experience with fellow test-takers! Pingback: PTE Preparation Time: Developing a Study Plan for PTE Success! Thanks to E2language.com and the entire team, especially Jay ! After 2 failed attempts, I took the silver package and I cracked it within a month on my 3rd attempt(S:90; W:86; R:87; L:84). The assessment classes are very useful and so are the huge collections of practice materials and strategies for each of the 20 tasks. WOW! We have no words. Hearing success stories like this leave me SPEECHLESS! It is so kind of you to reach out and express your gratitude! The E2 Team as a whole is happy we could help you achieve success! If you would be interested in having the chance to be featured on our website (We want to showcase more success stories!) Please Email us your testimonial! !